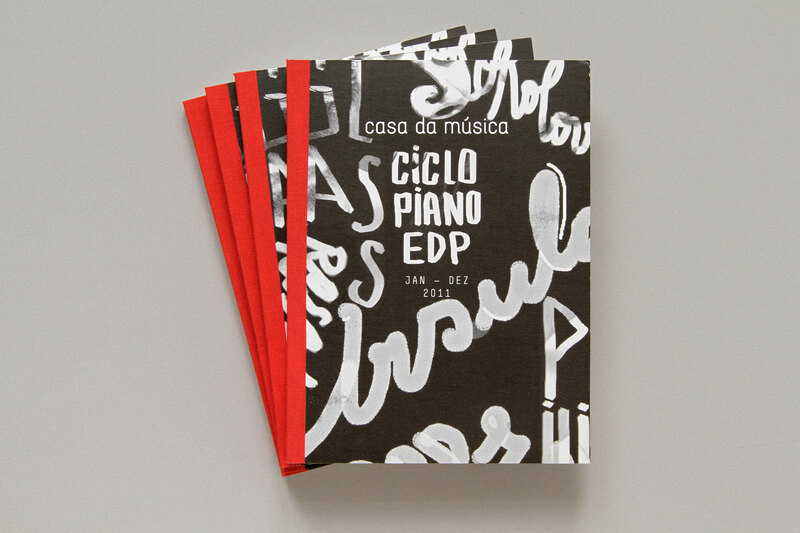 Annual brochure and Philip Glass poster for Casa da Música, 2011. The EDP Piano Series is a year-long cycle dedicated to some of the greatest pianists of our time as well as the most interesting emerging talents. In the same way as a recital focuses on the pianist, so does this approach, which tries to achieve an organic relationship between the pianist and the lettering, while at the same time recalling the solemn and intimist feel of a piano concert. Opting for a single annual brochure comprising several tear-off flyers, one for each concert, each flyer then becomes the poster for the specific piano concert.